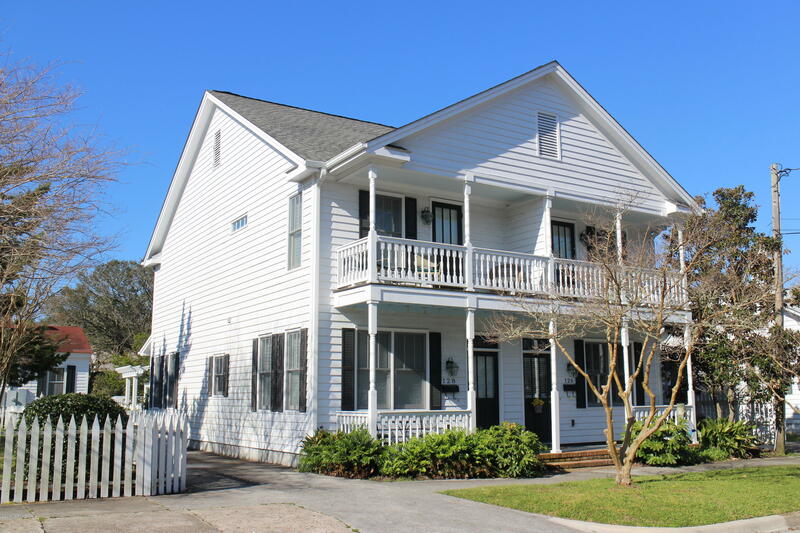 Downtown Historic Beaufort home with double porches! East half of duplex one block from Front Street! Being offered furnished, move right in and walk to dinner! Perfect location to walk or bike to everything in Beaufort! Immaculate 2 bedroom 2 1/2 bath home, hickory plank floors, cherry cabinets, stainless appliances & granite countertops.Spacious, open floor plan,gas fireplace lots of storage. Beautiful brick backyard patio,fully fenced, landscaped, wonderful outdoor living/entertaining space! Dedicated off street parking space & outdoor storage room.This one has it all-Call today to schedule an appointment to preview this beautiful home!